For gluten-free diners, dedicated gluten-free Italian restaurants are the closest thing we have to the iconic "candy room" scene in Willy Wonka and the Chocolate Factory. You mean everything on the menu is safe? Even the pasta and bread? Absolutely. Therefore, any opportunity to visit such a restaurant makes me want to burst out in spontaneous song. 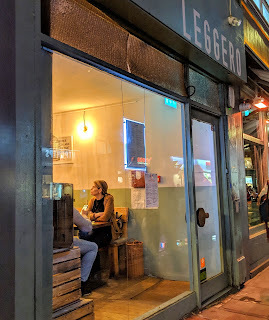 In doing my pre-trip homework on eateries I wanted to dine at in London, Leggero topped the list not only because they were a 100% gluten-free establishment, but the pasta, bread, and other dishes on the menu are all crafted with care in-house. Promising attention to detail and an innovative take on Italian cuisine, I made sure to arrive at Leggero with a hearty appetite and culinary curiosity. The dining space is cozy and the staff working the night I visited were warm, welcoming, and attentive to every detail of the experience from the start. The menu helpfully identifies allergens in each dish to make navigating it super simple, and stress-free. When I ordered, I was asked if I had any other dietary restrictions, and the waiter confirmed that my selections were both gluten and dairy-free. 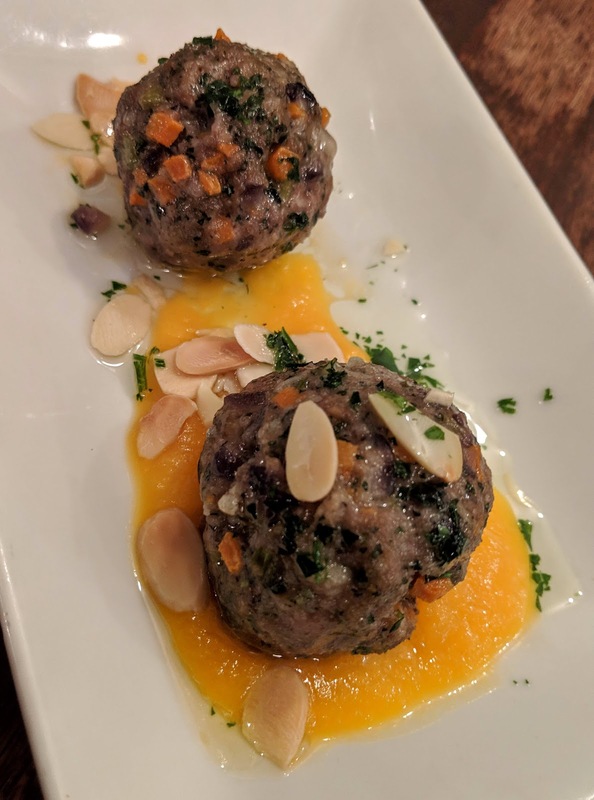 As a starter, I decided to take a leap out of my comfort zone and ordered lamb meatballs, which are naturally dairy-free. I confess that I've never eaten lamb before, but being in a new city a continent away from home gave me an extra boost of confidence to try new things. The dish features two generously-sized meatballs, which are made with tender, juicy lamb, carrots, and herbs. Served atop a creamy butternut squash sauce and sprinkled with fragrant almonds, I loved the contrasting savory, sweet, and nutty flavors. Of course for a main dish, I knew pasta would take center stage (though it was difficult to narrow down which one). Ultimately the vegan basil tagliatelle caserecce earned my vote, and soon was presented in all it's vibrant, colorful glory. The pasta's base was a delightful tagliatelle, which was thick-cut and twirled lazily around my fork. Tossed in the most delicious, robust tomato sauce (which would put any other to shame), I loved the flavor and rich consistency of this humble, but absolutely perfect pairing. Olives and capers tucked in the sauce added pops of tanginess to the symphony of flavors while breadcrumbs sprinkled atop the dish added a fun contrasting texture to the mix. As I ate, I slowed down to really relish every ounce of the incredible dish. 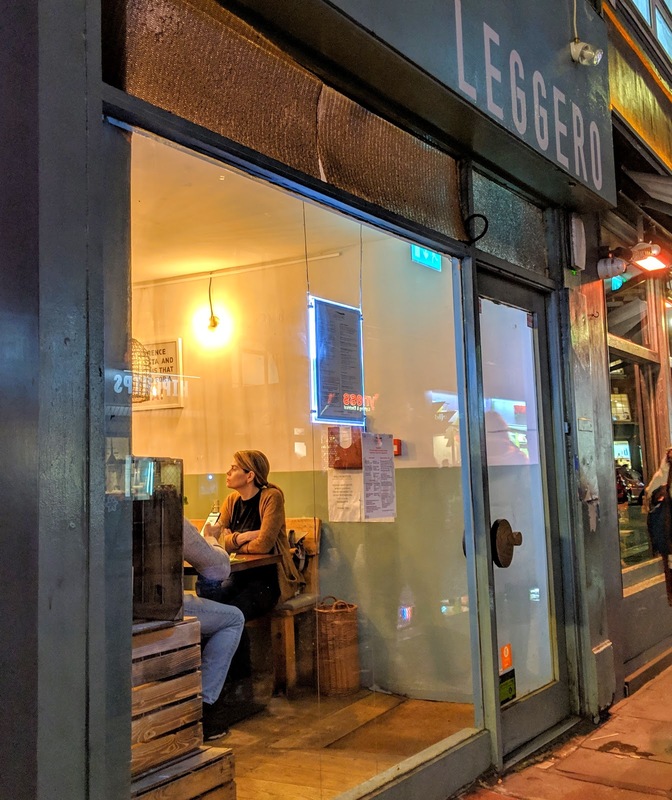 While I support any dedicated gluten-free restaurant on principle (because they truly are safe havens in this gluten-filled world), it gives me the greatest joy to give Leggero top marks in both hospitality and quality of food. Sitting in their dining room, enjoying the most marvelous pasta I've ever had, thinking back on my day exploring the astonishing sights and sounds of London made me want to cry tears of joy. Right then and there, I was filled with gratitude that my gluten intolerance allowed me to discover this little slice of paradise right in the middle of Soho. 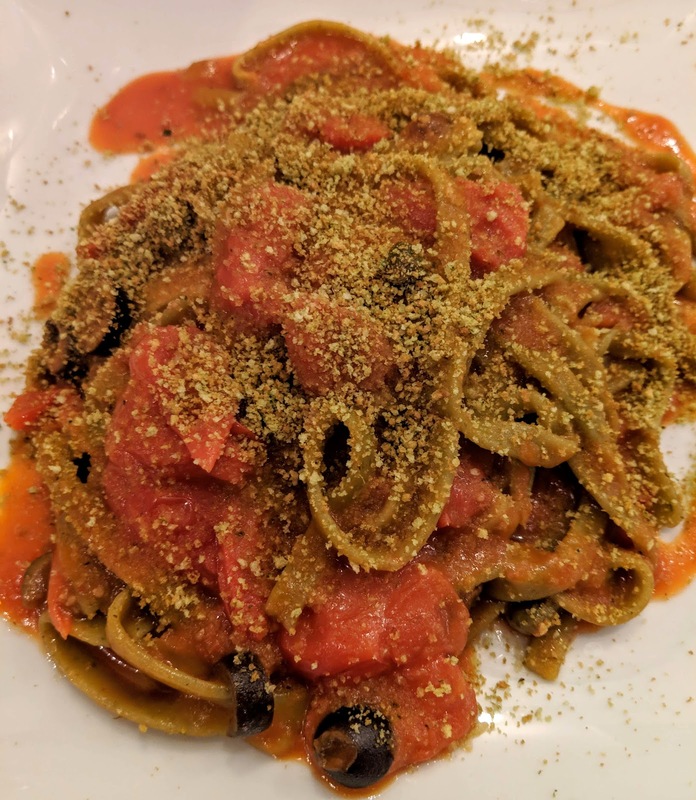 While there will always be frustration, miscommunications, or things that are off limits to me as a gluten-free diner, Leggero proved that there are moments when living with this dietary restriction can be joyous and transcendent. I wanted my dinner to last forever, to enjoy every moment and morsel of food. I regret that I did not order dessert, but I left unable to eat another bite, completely satiated and lulled into a most pleasant food coma. I hope I have an opportunity to pay Leggero a visit soon, and eagerly anticipate another magical evening in my very own version of the Wonka chocolate factory.